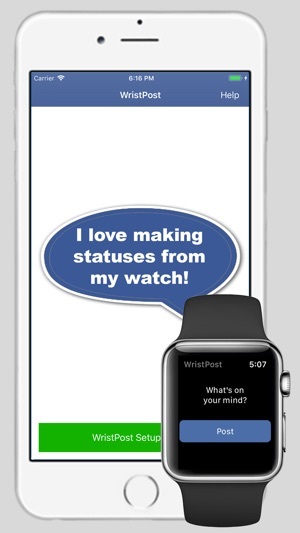 WristPost lets you make status updates from your Apple Watch - where ever you are, when ever. 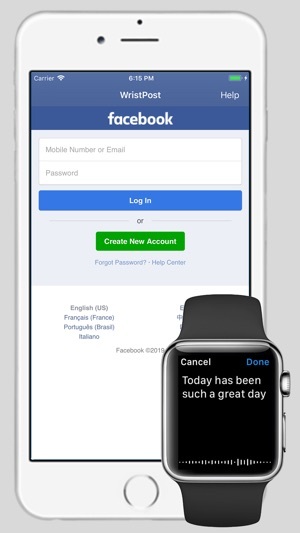 How To Setup: Start by linking your Facebook account to your Apple watch through Secure Sign In. We log you in through the official Facebook platform to keep user credentials confidential and safe. To make an update, simply tap the Status Update button on your Apple Watch. 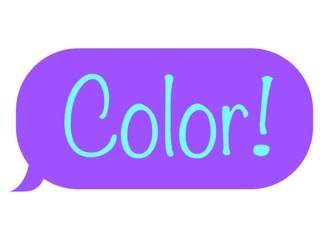 When prompted to speak, speak the status you'd like to make. When you tap Done, your status will be made within seconds! 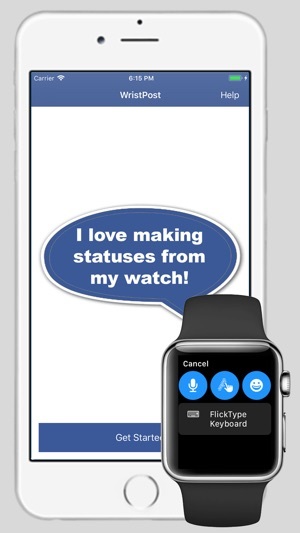 - App includes Complication support for Watch! Keep your friends and family up-to-date from your wrist - with just your voiceo. No posts. Figured it out! So far I have tried to post 3 messages through wristpost. Not one has mad it to my face book page! You have to have wristpost open on your phone! Hi there, thanks for the review. This is indeed how it is meant to work. I will be updating the app with improvements, bug fixes, and performance improvements. Stay tuned. I’ve tried posting from the app and it doesn’t post to FB account even leaving it open on iPhone as suggested.